Have you owned a home before and are you looking to make another purchase? In that case you have already been through the home loan process and probably felt it could have gone better. The majority of our clients have bought or are buying their second, third or forth property. The different stages of your life mean you are likely to need a different house for each stage. 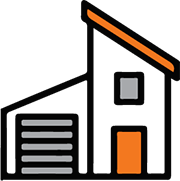 Whether its upgrading or downgrading, Orange Mortgage and Finance Brokers can help. More flexibility with the loan? Both a fixed and variable rate loan? Then we will go to our lender panel and make some recommendations to you based on what you want. We will explain our recommendations to you in detail. We need to make sure you are comfortable with what we are recommending because a house purchase will be one of the biggest decisions of your life and the finance is an important part of it. Or you may prefer to take up an different package from our recommendation, that’s fine. We will usually show you three or four loans from different lenders. As of December 2017 – approximately 54% of all home loans in Australia were managed by brokers and it has been increasing over the last decade. Why? Largely because brokers can give a more tailored approach to your needs. I’m very happy at the testimonials we’re received from our clients.